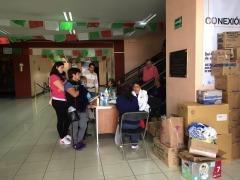 Upon arrival at Mexico City, AMDA nurse met with a local cooperator, Tenrikyo Mexico local office and had a meeting to share the local affect from the earthquake as well as to discuss about the plan. Our local cooperator office had a little physical damage from the earthquake. Electricity supply was resumed after 2days, however, water supply has been stopped still. 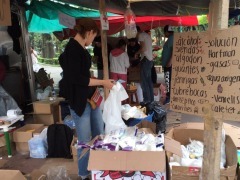 According to our local assessment in Mexico city conducted on 23rd, food and daily goods are supplied enough and evacuees have access to medical care at or around evacuation centers. 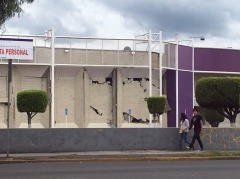 Now, AMDA jointly with Tenrikyo Mexico local office will conduct an assessment in Morelos state where death toll has been the second largest next to Mexico city. According to National Civil Protection of Mexican Government, the total death toll has reached more than 300, 169 in Mexico city and 73 in Morelos state.